There are three main kinds of color blindness, based on photopigment defects in the three different kinds of cones that respond to blue, green, and red light. 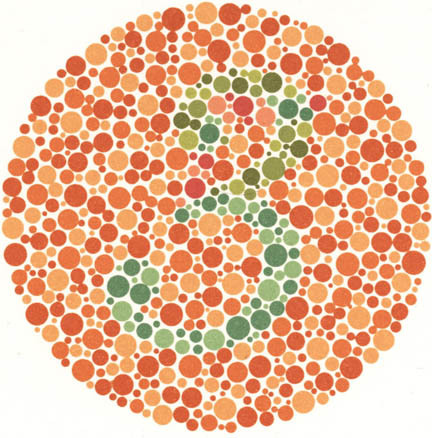 Red-green color blindness is the most common, followed by blue-yellow color blindness. A complete absence of color vision —total color blindness – is rare. 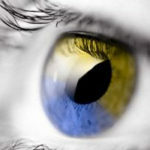 People with ‘faulty’ trichromatic vision will be colour blind to some extent and are known as anomalous trichromats. In people with this condition all of their three cone types are used to perceive light colours but one type of cone perceives light slightly out of alignment, so that there are three different types of effect produced depending upon which cone type is ‘faulty’. The different anomalous conditions are protanomaly, which is a reduced sensitivity to red light, deuteranomaly which is a reduced sensitivity to green light and is the most common form of colour blindness and tritanomaly which is a reduced sensitivity to blue light and is extremely rare.